We’re here to help you plan for your good days, prepare for your worst, and provide the remarkable service every day! You put your trust in us to help guide you through life’s biggest moments. We strive to repay that trust with the lasting relationships we build together. 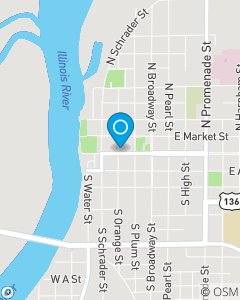 The Joshua Peterson State Farm Insurance team is located right here in Havana, IL and is licensed in auto insurance, homeowners insurance, life insurance and more. Give one of us a call today for a free insurance quote!